Games4King Red Squirrel Rescue info about the game-Games2Rule. 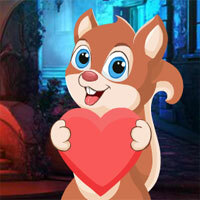 G4K Red Squirrel Rescue is another point and click escape game developed by Games 4 King. There was a mysterious mansion in a beautiful and magnificent city. The dark house was so intimidating to see. A dark squirrel was trapped inside the darkness.